The transition to a green economy requires many different approaches, from tech-centric transport solutions to changes in individual behavior and lifestyle. The impact on human rights is, as a result, difficult to pin down – especially where a single solution interacts with people in more than one way. Take, for example, Natural Climate Solutions (NCS) – land-based approaches to carbon capture that range from conservation of standing forests to climate-smart agriculture. Each NCS project sequesters carbon through sustainable land use in one form or another. Taken together, these solutions can provide 37% of the emissions reductions needed by 2030 to keep global warming below 2°C, with half of these reductions costing less than USD $100 per ton of CO2. Despite the significant potential of natural climate solutions, they have not received more attention on the world stage. This is why the Nature4Climate coalition - including the World Business Council for Sustainable Development (WBCSD), The Nature Conservancy, Conservation International and other key conservation NGOs - works to raise awareness of NCS. We know that natural climate solutions are good for the environment. But what does increasing investment in natural carbon capture mean for human rights? The transition to a low-carbon economy is not always consequence-free and its impacts on people need to be managed responsibly. The obvious starting point with NCS is land – what is the human impact of reassigning vast tracts of land to capture carbon? In many instances, the answer begins with ownership – especially where indigenous peoples are involved. Estimates differ widely, but indigenous peoples manage, or hold tenure rights to around 25% - 65% of the world’s land surface. Despite this, they legally own only about 10%. The increasing demand on natural resources and the land needed to extract, produce or process them, threatens indigenous peoples’ rights and their traditional practices, livelihoods and access to vital resources such as water, especially where their ownership of the land is not clear. This has caused significant conflict between local communities and firms in the past and will continue to damage indigenous peoples’ quality of life while costing the private sector millions of dollars. The response to this is to formally recognize indigenous groups as owners of the land they protect. Processing land rights by empowering the people who are most motivated to take care of it leads to sustainable land management. Securing land rights can bring economic and environmental development needed to address key human rights issues, impacting millions of people. 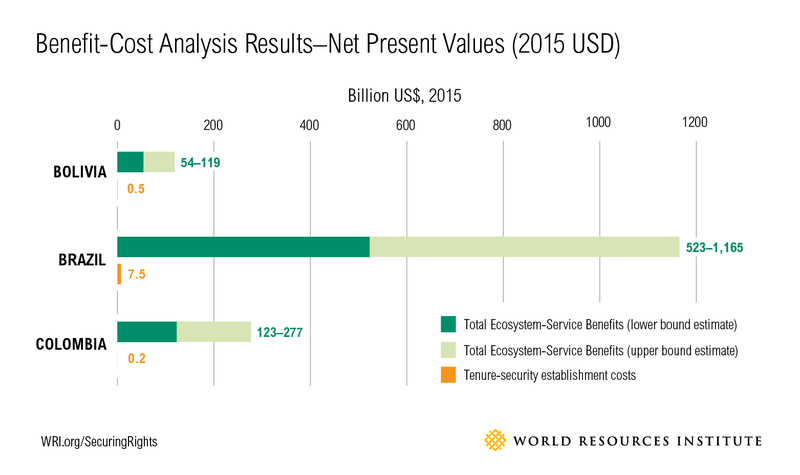 The region-wide environmental benefits alone can reach billions of dollars in value, according to a study from the World Resources Institute. The value of formalizing land ownership has been recognized by a range of companies, predominantly those who have set supply-chain sustainability targets; respecting local land claims is part of commitments made by firms such as Nestlé, PepsiCo and Pirelli. Several international organizations have also engaged with this directly, including Oxfam, the Ford Foundation and the DiCaprio Foundation. Legally binding agreements can provide clear parameters, valuable oversight mechanisms and robust accountability structures that aid in ensuring respect for land-related human rights. Willingness to participate in multi-stakeholder models can complement existing initiatives, address important gaps in current implementation efforts and place a company at the forefront of innovative approaches. Working hand-in-hand with community representatives in formalized ways can bridge cultural and other contextual gaps and help in building relationships around sensitive issues. Supporting affected stakeholders in order to effectively and meaningfully engage in consultation processes necessary to address land-related risks and impacts. Prioritizing meaningful stakeholder engagement early and often to avoid any escalation of land-related conflicts or other challenges throughout the lifespan of a project. That’s not the end of the story, though; there is a second intersection of Natural Climate Solutions with human rights. Using these solutions to capture carbon also improves the quality of air, water and soils. In doing so, these solutions contribute to a wide range of Sustainable Development Goals (SDGs) and human rights, particularly in rural environments where NCS can have the greatest impact. They can contribute to solutions for crises such as droughts, floods and hurricanes, rising food insecurity, gender inequality and many others, all while providing environmental and economic development. An example of this can be found in the Petén region of Guatemala, where community-managed forests have achieved near-zero deforestation while the economic opportunities generated by the NCS project have funded healthcare facilities and a new school. A similar result has been achieved in Kenya, on the Mikoko Pamoja wetland project. Carbon credits earned from mangrove conservation have paid for water infrastructure and upgrades at two local schools. At the same time, local fishing production has increased by nearly 33% thanks to the conserved mangroves, according to a UNEP report on the area. It’s as pressing as ever to ensure that businesses integrate human rights in environmental and economic sustainability solutions. Achieving one at the expense of the other is unacceptable. Natural Climate Solutions offer ambitious and impactful options for reducing emissions and delivering a low-carbon future. Their impact can be even stronger if built on corporate respect for human rights. The present blog aims to provide food for thought and to inspire discussion with, among and within our member companies. To know more and if you are interested in sharing your views on this or related topics, please feel free to contact us.